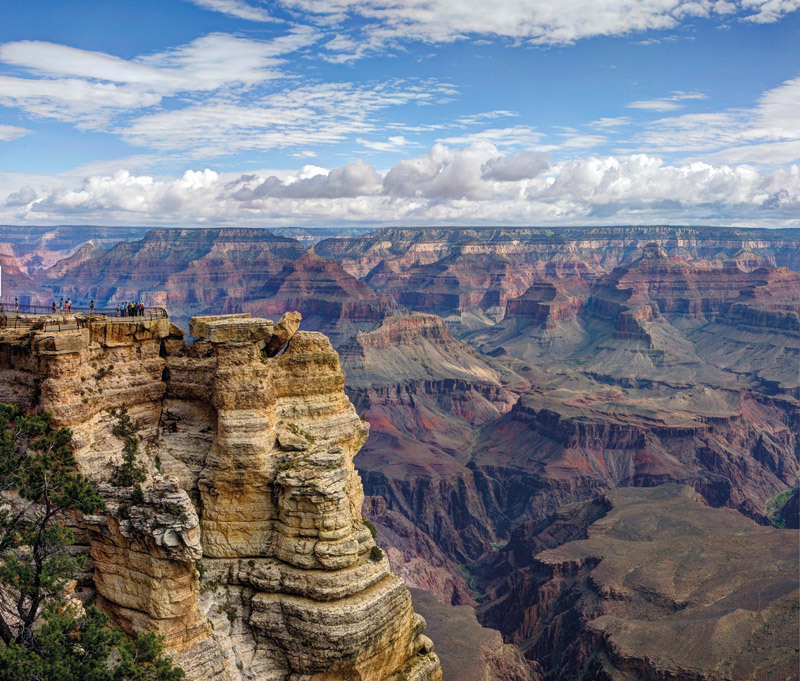 Offset the bright lights, the exhilarating shows and the buzz of the casinos in Sin City against the awe-inspiring wonder of America’s most famous National Park. Four hours from the glitz and glam of Hollywood lies the neon-clad city that never sleeps, packed full of themed hotels, casinos, restaurants and bars plus all manner of entertainment 24/7. Its reputation screams “let’s party!”, and there’s no denying that if that’s what you want then it really is the case. But if that’s not your thing then don’t dismiss it completely. If you’ve got an open mind and don’t mind the no holds barred approach to cityscaping then Vegas is still one of the best ‘good-time cities’ in the world. Everything in Vegas is bigger, and brighter. And this is no more so than on The Strip. Bustling casino tables, cocktails on rooftop bars – in Vegas you’ll feel like a king, or queen! 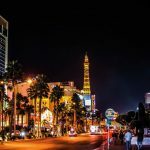 Las Vegas is a city that you can visit all year round, with spring and autumn being the most popular seasons to avoid the sweltering heat and humidity of summer. Mid-week hotel rooms can be found for just $30 a night and there is plenty of accommodation to choose from. 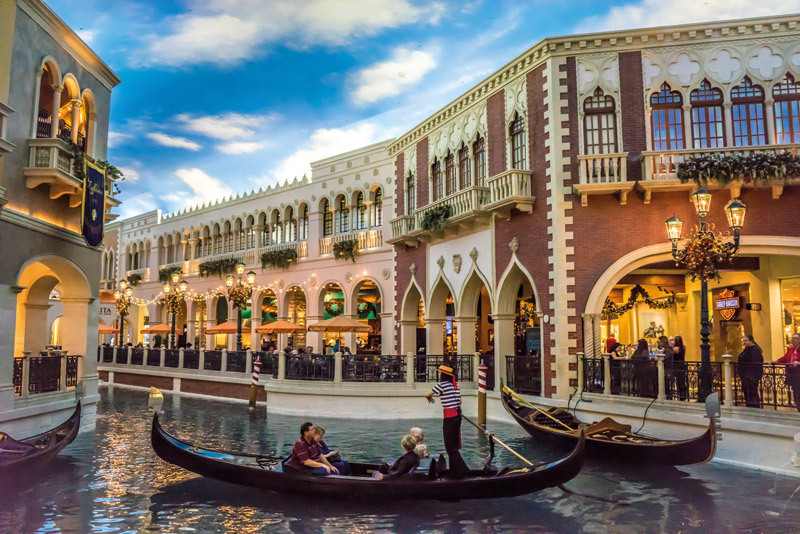 Each hotel/casino has its own theme so it’s a fun experience choosing where to stay – from the rock n’ roll vibe of the Hard Rock Hotel to the gondolier-filled canals of Venice in the Venetian. We opted for New York New York – because who doesn’t want to stay in a hotel with a rollercoaster going through it? No trip to Vegas is complete without seeing a show. 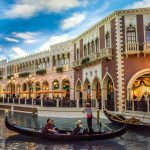 From the mesmerising acrobatics of the Cirque du Soleil to a medieval banquet and jousting show at Excalibur hotel, there really is a huge range to suit all tastes. It’s also a hotspot to see popular music artists and there’s even the chance to catch the legendary Penn & Teller who now have a permanent residency performing their magic weekly. Of course, there’s more to Vegas than what’s on the strip. Be sure to venture to downtown Fremont Street to discover ‘original Las Vegas’ where the weird and wonderful combine for an unforgettable experience. 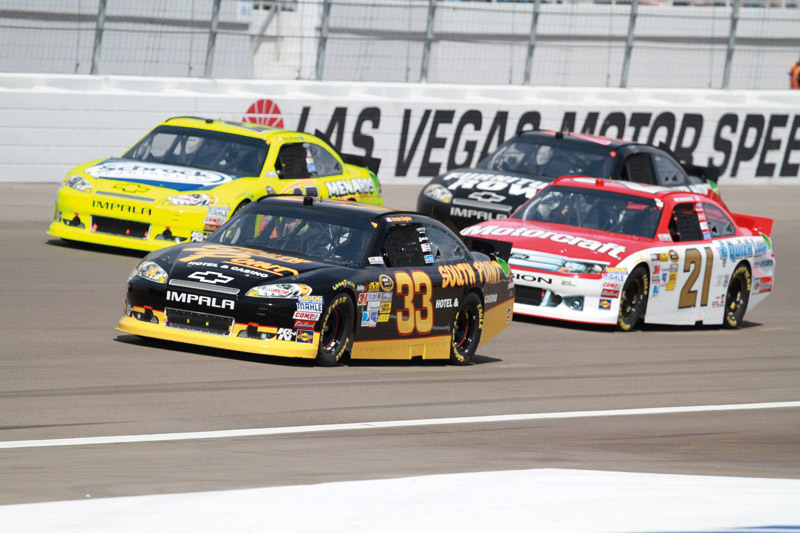 Petrolheads can also get their fix by heading to the Las Vegas Motor Speedway to hear the roar of America’s most-loved motorsport – NASCAR. 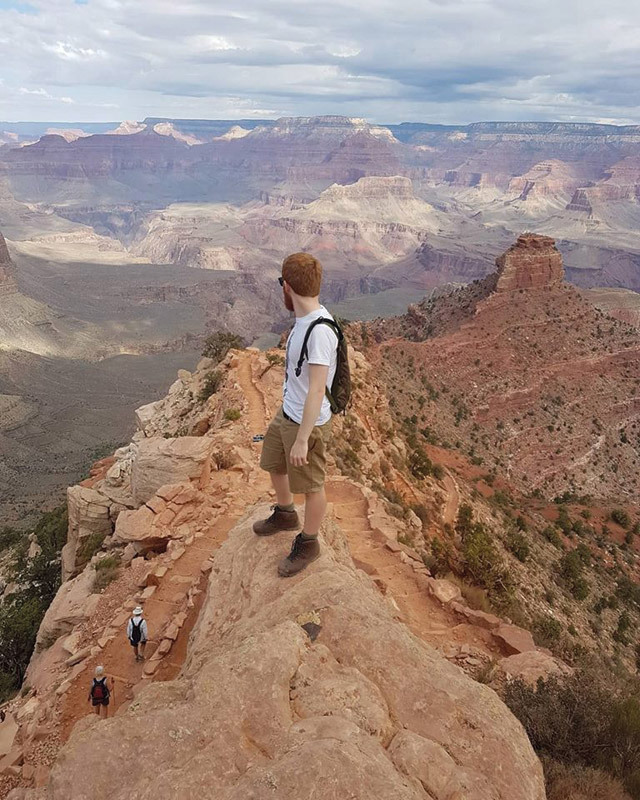 I actually had the chance to visit the Grand Canyon on a previous trip to Vegas. I foolishly decided against it, wrongly thinking that it was one of those overrated places having seen the pictures and discarding it as just ‘a big hole in the ground.’ I was so, so wrong. Pictures just don’t do this place justice. So much so in fact, I ended up putting my camera away pretty quickly when I realised how impossible it was to capture the depth and sheer size of the canyon. 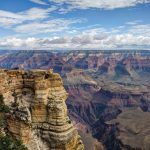 From Vegas there are hundreds of vendors that offer helicopter tours and regular tours to get a glimpse at this natural wonder of the world. While it’s certainly a viable option, there’s really no substitute to spending at least a night there. 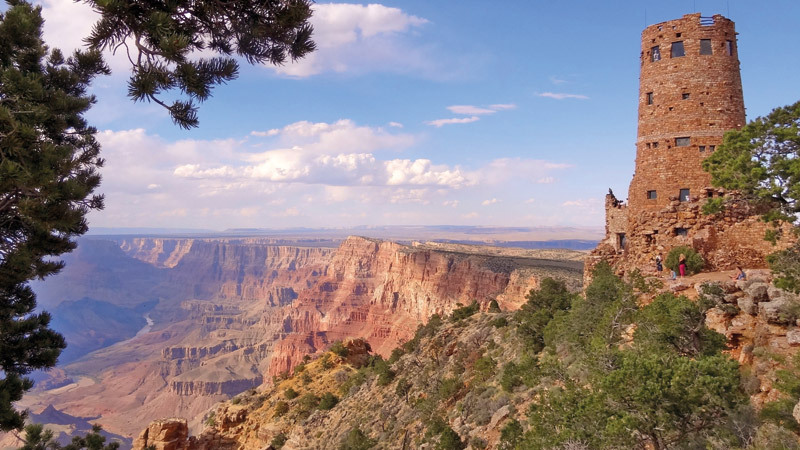 Hire a car and make the easy drive across the desert to the South Rim visitor centre. A very efficient and easy to use shuttle system runs from the visitor centre out to all of the trailheads and the overlooks in the park. Simply grab a map, hop on the appropriate coloured bus route and you’re away. If you’re able to, I’d recommend at least hiking your way down part of one of the main trails that lead to the bottom of the canyon. 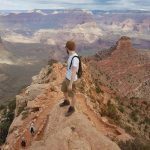 We selected the South Kaibab Trail and walked as far as Skeleton Point – about a seven mile round trip dropping (and subsequently climbing) approximately 2,000 feet. 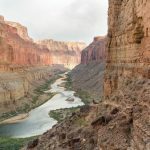 It’s a steep and strenuous trail – the most direct route to the bottom in fact – and follows open ridgelines in the central canyon to provide awe-inspiring views in all directions. Plenty of water and salty snacks are a must. 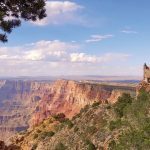 Lodging in the canyon can be pretty pricey and is booked up well in advance so be quick if you’re hoping to get a room with all the luxuries. 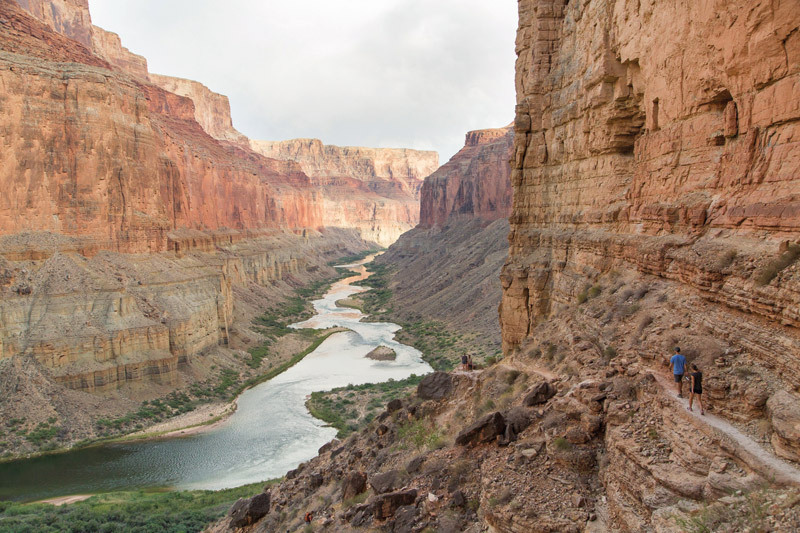 However, if you’re looking to really get in touch with nature, why not do as we did and buy yourself a tent and some sleeping bags from Walmart and pay just $8 a night to camp on the South Rim of the canyon itself. Pop to the general store for some fire wood to use in the fire pit at every camp site and make your own sweet, sticky smores over the camp fire. Then, wake up in the morning to elk roaming through the trees before a day of further exploration.